If you are the goto person for all the computer problems then we found the solution for all your problems. If people are complete computer retards then just give them this mousepad. And if users follow these instructions then you never have to work on other people computer problems again. 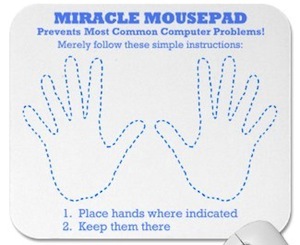 Also on top of the hands it says “Miracle Mouspad prevents most common computer problems! Merely follow these simple instructions:”. You see this is the easiest way to make the work load of an IT department a lot lower. Go tell you boss to order a bunch of these Prevent Computer Problems Mousepad. This mousepad is super cute and super geeky. It all happened one night in the dark in a field of robot parts. There where two robots that where madly in love and they where being watched by a light post and a traffic light but that didn’t stop them from showing affection for each other. And then one of the robots gave the other one a flower. So that is what you see on this mousepad. Two robots in an amazingly nice scene all printed on a mousepad. 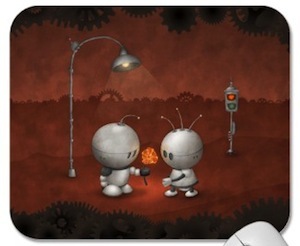 Come check out this Robots In Love Mousepad. Here we have a Doctor Who mousepad. On this mousepad we see the eleventh doctor and Amy Pond traveling through a vortex. And on this mousepad it also says ‘Trust me i’m the doctor.”. This is an amazing looking mousepad that just can’t be missing in your collection. Doctor Who fans just know that the doctor is part of their lives and that means this mousepad to. 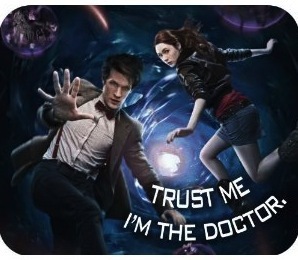 So get ready to order your Dr. Who And Amy Pond Mousepad. If you want a bit more support for all your computer mouse work then a mousepad with a wrist support can be the way to go. This mousepad has such a wrist support, the support is gel base and that makes it soft but sturdy. The base of this mousepad of course is slip resistant so that the mousepad stays in place while in use. And this mousepad has the Google Android logo printed on it. The Android robot is keeping a eye on your while you are working. 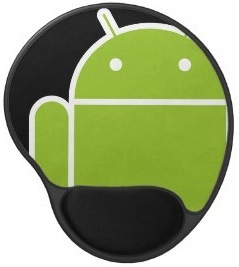 Now can be the time to get your desk organized with this new Android Gel Mousepad. The days of cold hands while working with your computer mouse are over. 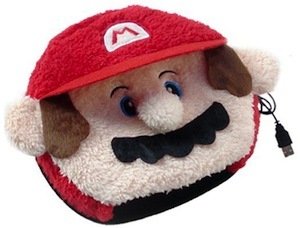 This Mario mousepad will keep your hands warm. As you can see on the picture this looks like the face of Mario the friendly character from many Nintendo games. But this is not just Mario no this is a heated mouse pad. Just plug Mario in to a USB port and he will heat up a bit then you put your hand and mouse inside and you are good to go but now without cold hands. If you are looking for a great looking mouse pad then Super Mario is a great idea and now you can have Mario and warm hands. Don’t wait for summer just order your Mario Heated Mouse Pad. Is that a bug on my circuit board? No it is just a mouse on a mousepad that looks like a circuit board. 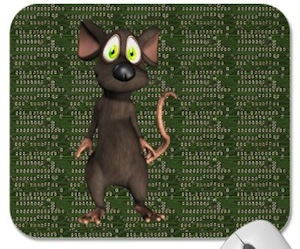 This of course is the ultimate geek mousepad with a great background that looks like a circuit board and a real looking animal mouse on it to. Of course this mousepad is made of quality materials and has a non slip back so that it will stay in place on your desk. If you want a fun and Geeky new mousepad then you have to come see the Mouse on Mousepad. I hate it when i am trying to do some precise work with my mouse and then i slide of the edge of my mousepad. We all know this problem and it is just annoying. Now there is the Super mousepad from Handstands. This mousepad 17.5 x 13.5 inch just giant compared to a 9 x 7 inch mousepad that you normally use. No more problems with gaming, drawing, selecting or any other mouse task that made you fall off your mousepad. And of course this mousepad comes in several colors but i prefer the black. Come and check out what people think of this Handstands Super Mousepad. How about a nice new blue mousepad? This mousepad is blue and fun. It has a hand on it in pixels just like an old fashion hand icon on your computer. Come check out this Hand Icon Mousepad. A mousepad makes or breaks your day at your desk. And this Captain America mousepad will make you day. It is nice bright blue and has the shield from Captain America printed on it. A must have item for a superhero collector. 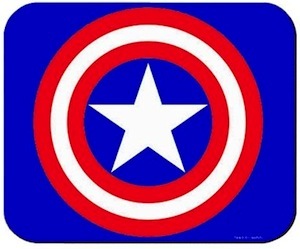 Come see this Captain America Mousepad. We all like less clutter on our desks. Notes and notepads are lying all over the place and what is the use of all that? Just a wast of paper. Now you can have a cleaner desk and no useless notes lying around. This Scratch and Scroll mousepad lets you take a quick note with your finger or the included stylus and then when you don’t need it any more then you just pull the top and it gets erased and will be ready to use again. To me this seems like the perfect mousepad. And if you are not convinced yet then you have to read more about the Scratch & Scroll Mousepad.